Quick housekeeping note: My wife and I are in the middle of a move from Colorado to St. Louis. As a result of that and a minor medical issue (nothing to worry about, but it’s taking up a fair bit of time), there will be no articles until Monday 11/7, at which point the publishing schedule will resume as normal. So a dividend strategy is only useful if there’s some reason to think that dividend stocks will outperform other stocks of similar risk. Overweighting high-dividend stocks relative to their market weight often results in a portfolio that is heavy on value stocks — because value stocks tend to have higher than average dividends. * And both Vanguard and Morningstar do classify the new Vanguard International High Dividend Yield Index Fund as an international “large value” fund. So how does the new fund compare to Vanguard’s existing foreign large value fund (i.e., the Vanguard International Value Fund)? The following chart (made with the Morningstar website) shows how the two have performed since the inception date of the new fund. The blue line is the new International High Dividend Yield Index Fund, and the orange line is the older International Value Fund. As you can see, they have tracked each other very closely. As far as differences, the new fund does have a slightly lower expense ratio (0.30% for Admiral shares, as opposed to 0.46% for the International Value Fund), which is certainly a good thing. And, unlike the existing actively managed fund, there’s no possibility that the new dividend index fund will experience outperformance or underperformance due to good/bad individual stock selection. Personally, I see that as a good thing. But others may disagree if they’re more optimistic about the value of low-cost active management. In other words, if you’re looking for an international large-cap value fund to add to your portfolio, the new Vanguard International High Dividend Yield Index Fund looks like a perfectly good choice. I would not say, however, that it is anything particularly groundbreaking compared to Vanguard’s older offerings. *Brief tangent: I recently encountered this article by Rick Ferri, which does a great job explaining why the value premium may be directly tied to dividends. In the last two weeks I’ve received an assortment of questions about how, exactly, Social Security inflation adjustments work. In brief, there are two types of inflation-indexing that occur with Social Security: indexing of your earnings history and indexing of retirement/disability benefits (and other benefits based on retirement/disability benefits). When calculating your “average indexed monthly earnings” (i.e., the earnings history that is used to determine your retirement or disability benefit), all earnings that occur prior to age 60 are indexed to age-60 dollars. * This indexing is not based on price inflation but rather on wage inflation, as measured by the national average wage index. For example, if the national average wage was twice at high in your age-60 year as in your age-40 year, your earnings from age 40 would be included at twice their actual dollar amount when calculating your earnings history. Earnings after age 60* are not indexed. As it turns out, this usually lets them count for more than if they were indexed (because if they were indexed, they’d have to be indexed to age-60 dollars, which would be a downward indexing in most cases). Beginning at age 62 (or, if earlier, the year in which you die or become disabled), your primary insurance amount (i.e., the amount of your monthly retirement benefit, if you were to file for it at exactly full retirement age), begins to be indexed upward each year for price inflation, as measured by the Consumer Price Index for Urban Wage Earners and Clerical Workers (CPI-W). Specifically, the calculation is done by comparing the average monthly CPI-W from the third quarter of the current year to the average monthly CPI-W from the third quarter of the last year for which there was a COLA. There are two key points about this cost of living adjustment. First key point: Because the COLA is an adjustment to your PIA, it also affects the benefit of anybody else who receives benefits on your work record, such as a spouse or child. *In the event of death or disability prior to age 62, rather than using age 60, the calculation uses the year that is two years prior to the year in which you die or became disabled. That is, earnings prior to that particular year will be indexed to that year, and earnings after that year will not be indexed. For example, if you become disabled at age 47, earnings prior to age 45 would be indexed to age-45 dollars. Earnings after age 45 would not be indexed. 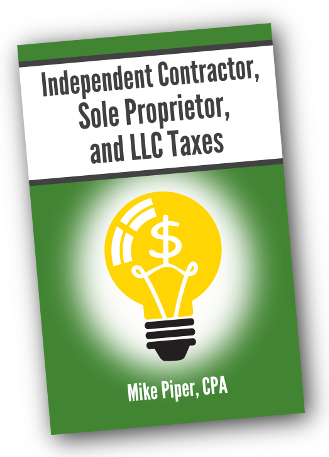 “For the first 9 months of 2016, I have been considered a self-employed 1099 contractor at a hospital. As of October 1st, I will be a W-2 employee, but I will be doing the same work at the same hospital. The employee salary deferral limit for 401(k) plans (i.e., $18,000 for 2016) is a per-person limit. That is, any deferrals that are made to the plan at your job as an employee will be counted against the $18,000 limit for deferrals (i.e., “employee” contributions) to the solo 401(k) — and vice versa. The $53,000 annual limit works differently though. This limit comes from IRC 415(c). The key point when reading that Code section is to understand that these are the rules for a given plan, rather than for a given person. That is, the plan wouldn’t be a qualified retirement plan if it let a participant contribute more than $53,000, but there’s no rule saying that a given person isn’t allowed to make more than $53,000 of total contributions if they are a participant in multiple plans. While the $53,000 limit is a per-plan limit, it’s important to understand that, in some cases, multiple retirement plans will be aggregated (i.e., considered to be one plan). IRC 415(g) and 415(h) provide the relevant rules. Specifically, multiple businesses will be aggregated as part of a “brother-sister controlled group” if five or fewer individuals (including people, estates, and trusts) own more than 50% of the stock of each business (measured in terms of voting power or value). Alternatively, two businesses will be aggregated as part of a “parent-subsidiary controlled group” if one business owns more than 50% of the other business (again measured in terms of voting power or value). For example, if you are the sole owner of two single-member LLCs, those two LLCs will be aggregated for these purposes (and you will not be able to exceed the $53,000 total contribution limit), even if the two LLCs operate in completely different industries.